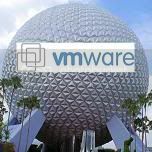 VMware is making plans for Partner Exchange 2009. The company’s second annual partner conference will take place April 14-17 at Walt Disney World in Orlando. Last year’s inaugural Partner Exchange attracted more than 1,000 people to San Diego; it will be interesting to see if the economy leads more VMware partners to stay home next year.